A4 size with 2no. clear acrylic feet for free standing. 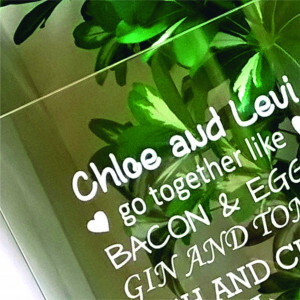 For all plaques we require the names of the couple, for the Mr and Mrs one we require the date of marriage, and for the wedding one we also require the place of marriage or any other important information you would like adding. Please note: As these are custom made products they are exempt from returns.